The Ames-Webster Mansion, on Dartmouth Street in Boston’s Back Bay, will soon be renovated. 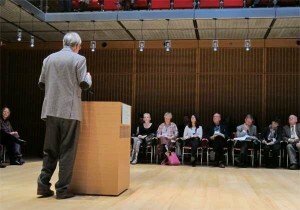 A press release forwarded to me by John Margolis, president of the New England chapter (on whose board I sit) of the Institute of Classical Architecture & Art, describes the upcoming work by Hamady Architects as a “large-scale renovation,” which would normally have the hairs on the back of my neck standing at full attention. However, since Hamady is partnering with the chapter to offer, on March 7 and 8, a two-day course on the mansion’s history and on its upcoming renovation, my fears are assuaged. Hamady may be, I can only trust, relied upon to pay utmost respect in its renovation to the mansion’s extraordinary artistic resources. First of all, it was originally designed in 1871 by the firm of Peabody & Stearns. Later, carving and murals by Beaux-Arts painter Jean-Joseph Benjamin-Constant and a glass skylight by John LaFarge were installed. The course, which costs $260 for the public and $210 for ICAA members, will thoroughly consider the house, its craftsmanship and its prospects under the guidance of Hamady Architects. The firm’s head, Kahlil Hamady, who is on the national board of the ICAA, will participate. The first day will consist of historical and preservation lectures and a major craft demonstration; the second day will consist of drawing the building’s exterior, interior and details, with guidance and instruction. Reservations are first come, first served. 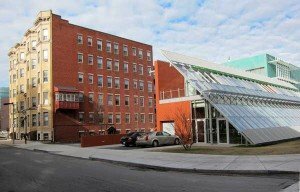 The course location is at the mansion itself, 306 Dartmouth St., where lunch will be provided for the two days, Friday, March 7 (9 a.m. to 5 p.m.) and Saturday, March 8, 9 a.m. to 6 p.m. The course is worth 15 continuing-education credits. Please find more information and register here. Mr. Watkin was the first architectural historian to challenge the historicist ideas that reigned when his controversial book “Morality and Architecture” was published in 1977. It reigns to this day, and it will be interesting to hear him reflect on how the prospects for a classical revival have changed, for better or worse, over three and a half decades. One hopes he will discuss his perception of the differences between the modernist architectural establishment in Britain then and now, and between that of his nation and our own. Last week I wrote a column about Professor Watkin’s attack on historicism – it can be read here – which is often mistakenly taken to mean the act of building anew in old styles. Doing that, which so many of those who attend the lecture make their living at, is looked down upon by adherents of the historicism that Mr. Watkin attacked – that is, the theory that architecture must reflect a so-called “spirit of the age.” In practice, that means any design that builds upon the best architectural principles of the past, however inventive, is inauthentic, downright bogus, and even immoral. Fortunately, the professor is still out their on the hustings trying to take that theory down. [Dr. Watkin has published many books, including A History of Western Architecture (5th ed. 2011), The Classical Country House: From the Archives of Country Life (2010), as well as monographs on Thomas Hope, ‘Athenian’ Stuart, Soane, Cockerell, Quinlan Terry, and John Simpson. 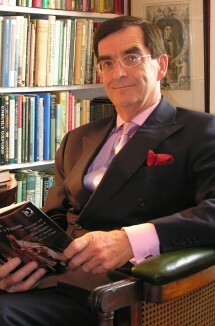 His growing interest in antique precedent led to his book, The Roman Forum (Harvard 2009; paperback ed. 2011). Reservations for the event can be made here, but may also be secured at the event. Admission is $25 for ICAA members, employees of its professional membership, and members of the Boston Society of Architects. * Excerpted from material about David Watkin provided to the chapter. David Watkin considers classicism as an architecture of imitation combined with invention in which the orders are timeless through their relation to the human body and through their ornament derived from plant forms. He weaves a web of resonances linking past architects, Ictinus, Vitruvius, Bramante, Scamozzi, Schinkel, Hansen, Soane, Cockerell, McKim, Mead and White, with current architects, Krier, Porphyrios, Greenberg, Quinlan and Francis Terry, John Simpson, Robert Adam, George Saumarez Smith, and the brilliant classical sculptor, Alexander Stoddart. The lecture is both historical and contemporary, for Professor Watkin draws on his personal association with many of the present day architects whose work he has defended in public planning enquiries and written about in books and articles. The story involves a life-long battle against the British establishment which is Modernist in terms of both architecture and, ironically, of conservation. Dr. Watkin has published many books, including A History of Western Architecture (5th ed. 2011), The Classical Country House: From the Archives of Country Life (2010), as well as monographs on Thomas Hope, ‘Athenian’ Stuart, Soane, Cockerell, Quinlan Terry, and John Simpson. His growing interest in antique precedent led to his book, The Roman Forum (Harvard 2009; paperback ed. 2011). 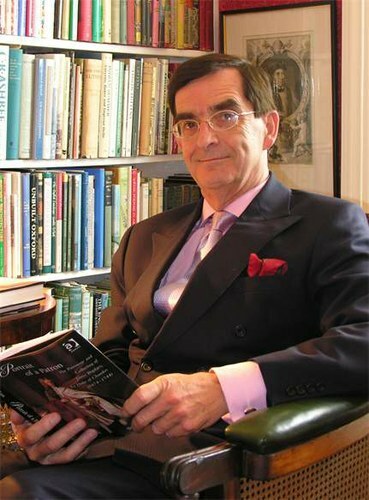 He is an Honorary Fellow of the Royal Institute of British Architects, a Fellow of the Society of Antiquaries, and Vice-President of the Georgian Group. He has taught at the Prince of Wales’s Institute of Architecture, the School of Architecture, University of Notre Dame, the Bard Graduate Centre, New York, and has been a member of the Driehaus Award jury in Chicago. $25 for ICAA members and employees of professional member firms, and members of the Boston Society of Architects; $35 for the general public. Valet parking available at The Algonquin Club for $22 per vehicle. 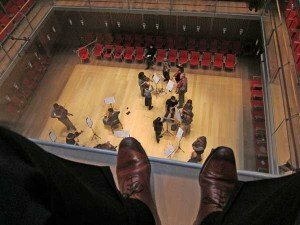 Here is a review by chapter board member John Tittman, originally posted on the web site of the Boston Music Intelligencer. Distractions from Gardner’s Visceral Mission? The new addition to the Isabella Stewart Gardner Museum, designed by the Renzo Piano Building Workshop, in Genoa, Italy, was completed in this month and opened with much fanfare. A bit about the 1902 Palace is in order, to start. We know that Isabella Stewart Gardner was literate, well traveled, and deeply interested in art. It’s easy to imagine that such a connected, wealthy, and vibrant woman would have known about some of the ascendant thinking about art in her day. In the second half of the 19th century, one group of thinkers believed that art should be personally felt, intense, and unaffected by the corrupting influence of too much Classical learning. Art was more than just an object to be studied intellectually. Rather, art was part of a whole environment that included dance, music, and furnishings. Art for them gained meaning and effectiveness by its surroundings. These thinkers included critics like John Ruskin and artists like William Morris and Rossetti, who emphasized the virtues of the medieval over the Late Renaissance, then the touchstone of taste. One brotherhood’ called themselves Pre-Raphaelites because they preferred to be influenced by artists that preceded Raphael — before, they said, the corrupting and cerebral Classicism took away a personal and visceral connection to art. John Ruskin, as the foremost spokesman of this way of thinking, brought attention to Venice, where the architecture is largely medieval. The appeal to Ruskin and others was that Venice was Pre-Raphaelite architecture. Venice embodied their Romantic approach. And so Boston has a piece of Venice on the Fenway. It’s an exotic, certainly, but very much a native, too. Gardner, a pioneering woman, a Boston woman (it’s hard to imagine her flourishing in New York), lived independently after her husband’s death in 1898 and traveled internationally. She was thoroughly modern in a way that seems normal to us but was highly unusual in her day. Her new thinking is exemplified in the Pre-Raphaelite building that is the Palace. Taken in this light, we needn’t find her vision ‘embarrassing’ as Sebastian Smee wrote in his otherwise excellent article. There’s a sense in many circles today that Gardner’s vision is, well, a little weak intellectually, and that a Venetian palace on the Fenway is silly. We live in a rational age, and are for the most part uncomfortable with the Romantics. However, the child within us all is still overcome with awe at the site of the courtyard and its plantings: this awe is part of the experience of art that Gardner wanted her visitors to have. The Palace has a strong sense of place, a presence, and a collection of memorable spaces. Somehow the museum that Isabella Stewart Gardner founded has survived the almost 90 years since she died in 1924 at the age of 84. But all those visitors in the intervening years have been putting a significant strain on the building. 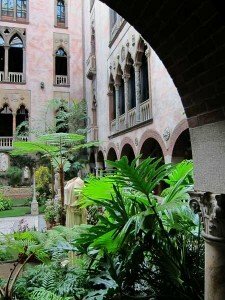 Something had to be done to keep the museum, now known as the Isabella Stewart Gardner Museum (ISGM), from essentially being loved to death. The strain of taking care of the visitors (up to 200,000 annually) through selling tickets, hanging wet coats, and providing a café, bookshop, toilets, as well as housing the museum’s offices, was not sustainable. Furthermore, since 1927, the ISGM has been hosting a music series, bringing in each year some 10,000 people to traipse through the galleries to the Tapestry Room to hear the concerts. Music, of course, is an essential part of the total art experience that Gardner endorsed, and seemed integral to the ISGM. 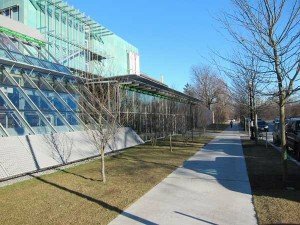 And so the ISGM hired Renzo Piano, the world acclaimed architect from Genoa, to build an addition. Now completed, the public can see what has been so long in planning and construction. The addition, as intended, has successfully and indeed triumphantly removed the functions that were eroding the Palace. The entrance has been moved to the flank of the property, now fronting Evans Way Park. From the new entry the visitor passes through a lobby to find a coat room, a welcome area known as the Living Room, a café, and a museum shop, all done in a 1950’s retro style. Between the Living Room and the café, a glass passageway connects to the Palace. A grand stair leads up a level to the Special Exhibition Gallery and to the Calderwood Performance Hall. Museum offices are stacked up behind the Gallery and the Hall. South of the Entry, along the side of the Park down to Tetlow Street, is a wing that houses a small greenhouse and two visiting artists’ apartments. The service entrance is off of Tetlow Street. Restoration work was done within the Palace, particularly in the Tapestry Room now that music concerts will no longer occur there. The Palace has been saved. The museum is now on surer footing that it has ever been. The functions have been perfectly arranged. Boston’s grand dame on the Fenway should be thrilled. Or should she be? One of the roles of individual buildings in a city is to define the public realm, to define streets and gathering-spaces like squares and parks. The Piano building does a poor job of shaping Evans Way Park. It seems surprising that an Italian architect, from a country with the world’s best street spaces and piazzas, would be so insensitive to this aspect. The south end of the building along Tetlow Street, where the service entry is, makes no effort to define its corner. Defining corners, or shaping the street at corners, is how city blocks define themselves. The Greenhouse and Artist Apartment wing has a 45ºplane of glass slanting away from the street, seeming more like a sound deflector at Logan Airport than street-shaping building face. Clearly the architects were not interested in making Evans Way Park a better defined chamber of space. The ISGM controls one wall of the three walls of the Park: shouldn’t they have contributed to the public domain? Buildings may be brilliant individually, but the aggregation of buildings makes the city. This role of building making — of architecture — to shape streets is the equivalent of good citizenry and is an essential point by which buildings are evaluated. So on this point, the addition to the ISGM seems more suburban than urban, where street shaping is less important. The most interesting space in the new building is the space where music will be played. It’s a cube, 44 feet to a side, and 44 feet to the ceiling. The hall seats 300, arranged on four levels. There are two rows on the stage level and one row on each of the three balconies. The audience seating completely surrounds the performers, so that some of the audience will necessarily be behind the performers. This arrangement may work for some types of music, but any music that is best presented frontally, like say a violin, or a singer, will have to perhaps modify the presentation. It is an awkward space for speakers, as was made clear during some speeches last week. Speakers and performers will have to learn to turn around constantly to communicate with those seated behind them. The ISGM will sometimes have illustrated talks, at which time the seating will be aligned to face the permanently installed drop-down screen. The sightlines from the top balcony are almost untenable. A viewer sitting normally in one of the top balcony seats can only see half of the stage. To see the full stage one must lean over the rail, nearly 30 feet above the performers, getting a good view of the tops of their heads. The sightlines from the middle balcony are better, but still awkward. The lower balcony, just above the main level is excellent — as long as one doesn’t sit behind the performers. Of the 300 seats, only about half are good for viewing. 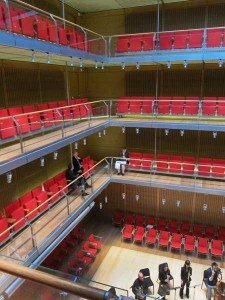 This reviewer, listening to the rehearsal of the orchestra, A Far Cry, found the acoustics excellent, warm and vibrant, on the main stage level, and on the first balcony. They were also excellent when leaning into the space on the upper two levels, but less so when sitting back in the seats where the glass panel seems to block some of the ranges of sound from below. This room is also a cube shaped room, 44 feet to a side and 44 feet high. It is described as ‘flexible,’ meaning that the ceiling can be set at three different heights — one third, two thirds, and full height. It’s quite an undertaking to adjust the ceiling, since plumbers and the Boston Fire Department must be called in each time to re-set the fire sprinkler system. 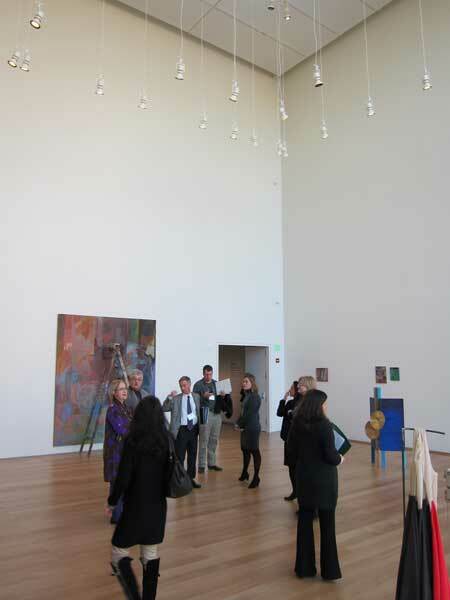 The curators say that some exhibits will be better suited to lower ceilings. And there may also be a work of art 30 feet tall that needs the full ceiling height. The current exhibit has small (relatively) paintings hung at eye level and near eye level. The wall above is empty. And so this brings us back to what Gardner’s vision is, and what looking at art means. Gardner was interested in the totality of the experience. Looking at a painting was not a disembodied intellectual experience, but something that was felt as much as understood. This approach is why she integrates furniture, decorative objects, and paintings together in a sympathetic architectural setting. Like at the Frick and other “collection museums’’ (again, thank you, Sebastian Smee), art was for her more powerfully presented in a total environment that included music, and even the aroma from flowers. Her vision is intensely humanist: she combines all the viewer’s senses together. Her vision is not abstract or rational. It is visceral and syncretic. In the new addition, the two primary spaces for music and exhibits are the opposite: they are cerebral and rational. The architects were intent on making a matching pair of platonic cubes of space. Why else would these two rooms just “happen’’ to be 44 feet by 44 feet by 44 feet? The artistry of their work is platonic. It is not felt, but intellectually understood. Had the messy, un-platonic needs of viewers — things like sightlines, and the shapes of human bodies, and how sound, and smell and memory interrelate — been part of the design-think, the abstraction would have been compromised. Piano and his team were not interested in that concession. Their architecture is highly technological, and very far from Gardner’s Pre-Raphaelite vision. Piano and his team are masters. The addition is a technological marvel that solves the practical problems of the Gardner. But what of Gardner’s vision? Has the new addition missed the point? Has all the abstraction become a distraction? John Tittmann is an architect in Boston. He is a principal at Albert, Righter & Tittmann Architects, Inc.
What: One-day seminar featuring expert advice for homeowners interested in learning about the history of their old houses. Information: Have you ever wondered who lived in your house before you and what their families and occupations were? Join the Newburyport Preservation Trust and staff from Historic New England for The Mystery of History: Researching and Documenting Your Old House. New England’s rich history is contained in the walls and dooryards of houses we still live in, and researching your house is a wonderful way to understand the past. Mystery of History participants learn from expert researchers how to do deed research; measure, draw, and photograph historic buildings; do architectural investigation; and find archeological artifacts that impact the building’s history. View examples of research documents and archeological findings from private homes in Newburyport. 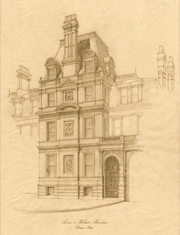 The pen and pencil drawings on display are of special interest because oversized hand-drawn perspectives have become a lost art, as computers and other technological innovations have supplanted the drafting pencil in most architects’ offices. Skip and Marge Motes of the Newburyport Preservation Trust will discuss their extensive deed research of the South waterfront in Newburyport. Linda Miller of the Trust shows how to measure, draw, and photograph old buildings, while Joe Cornish and Caitlin Corkins of Historic New England discuss the ways and means of architectural investigation and historic archeology. Call 978-462-9079 to reserve your spot. Admission is $20 for members of The Newburyport Preservation Trust or Historic New England, $25 for non-members. Box lunch is available for $10 and must be requested in advance. I was informed today by Chapter President John Margolis that architectural historian David Watkin, a leading proponent of classicism, will speak in Boston on Monday, March 26, at the invitation of the New England ICAA chapter. Mr. Watkin is best known for his A History of Western Architecture (1995, updated in 2005), the first major general history of architecture in decades to eschew the prevailing modernist story line that classical architecture was no more than a runup to the Zeitgeist as reflected in the work of modernist architects, and that a classical revival was an irrelevant and even immoral project. More information to come on the lecture, of course, but I cannot suppress my joy at this news. I met Mr. Watkin in 1999 on a visit to London. Earlier in the evening I had met Roger Scruton, whom I had sought out because of my veneration of his book The Classical Vernacular. (My apologies for its extraordinary expense!) At the time I was blissfully unaware of his extraordinary career within the broader realms of philosophy. Anyhow, Mr. Scruton, who had a nice flat behind the Burlington Arcade, invited me to hear a lecture by David Watkin. We walked from his flat to, if I recall, Sotheby’s. When we arrived, the audience awaiting the lecture was discussing the day’s news that Prince Charles had been forced to hire a modernist to run his school of architecture. At the time, which was not long after Lady Di’s demise, Charles’s handlers were enforcing a hushing up of his classicist architectural opinions, which were not welcomed by most of the London elite. Needless to say, the mood in the room was sombre. I do not recall the details of the lecture, but I am thrilled that Mr. Watkin has accepted the chapter’s invitation to speak. Again, more details on the location, etc., when it comes available.